The Carver Nursery School could be demolished as soon as the month of February if the community does not intervene. The school was constructed during World War II through an Act of Congress to fund nursery schools so that parents of children could work in the war effort. The Carver Nursery appears to be the only one built specifically for African Americans. The building consisted of two classrooms with a playground on site. The playground is now the Hunter-Miller Park. Located in the Parker-Gray Neighborhood, the school was in the heart of a thriving Black business area at Queen and Fayette Streets. The school would later become the William Thomas Post#129 of the American Legion and was the social hub of the neighborhood. Two and a half years ago, a local developer who then applied for a demolition permit purchased the property. The Parker-Gray Board of Architectural Review and the City Council approved the demolition. The developer has already built eleven houses in the neighborhood and recently put eight condominiums in a former laundry building nearby. The eight condominiums (condos) add character and blend in with the neighborhood. The demolition of the Carver School runs contrary to the purpose of the Parker-Gray Historic District. The Parker-Gray Historic District was created in 1984 and one of its main purposes was to protect the area from development pressures that could arise from the building of the King Street and Braddock Metro Stations. The stations are within blocks of the Carver Nursery School. The plan in 1984 was to nominate the neighborhood for the National Register of Historic Places. 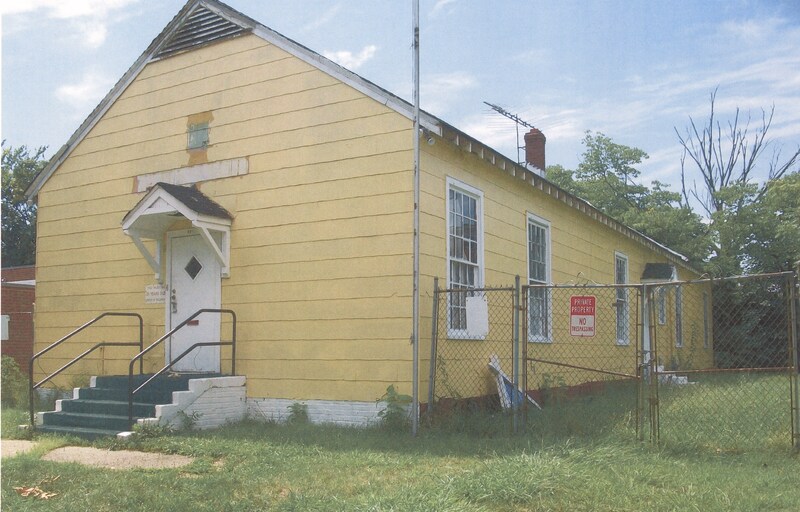 In 2004, the City of Alexandria conducted a survey and at that time, the Carver Nursery School was one of many structures singled out as having contributed character to the neighborhood. The two Parker-Gray Schools had already been demolished. The threat of the demolition of Carver School is a test to the preservation of buildings that have played a part in the history of Black Alexandria. This building is the only known building of its type still existing and was listed on Preservation Virginia’s eleven most endangered properties list of 2010. There is only one option for saving the building and that is for the City of Alexandria to intervene. Ask the City to temporarily halt the demolition so that the community can have a voice and suggest some alternatives. To help, please e-mail City Council at www3.alexandriava.gov/contactus/mailto.php?id=610. You can also contact Boyd Walker from the Greater Alexandria Preservation Alliance at Boydwalker2012@gmail.com to get a copy of the petition that is now circulating, and help gather signatures. Time is running out, so please help us tell the whole story of the Parker-Gray Neighborhood. Boyd Walker is a community activist who started the Greater Alexandria Preservation Alliance five years ago, to be an advocacy organization for Historic Preservation in Alexandria. The purpose of the Alliance is to work beyond Alexandria’s borders with state and local partners and to make Alexandria a greater place. He is a native of Alexandria who grew up on the “Southside.” He was a co-founder of Citizens for an Alternative Alexandria Waterfront Plan, now known as Friends of the Alexandria Waterfront and a recent candidate for Alexandria City Council. This entry was posted in Education, Uncategorized and tagged Alexandria VA, Carver Nursery School, Parker-Gray District, William Thomas Post #129. Bookmark the permalink.